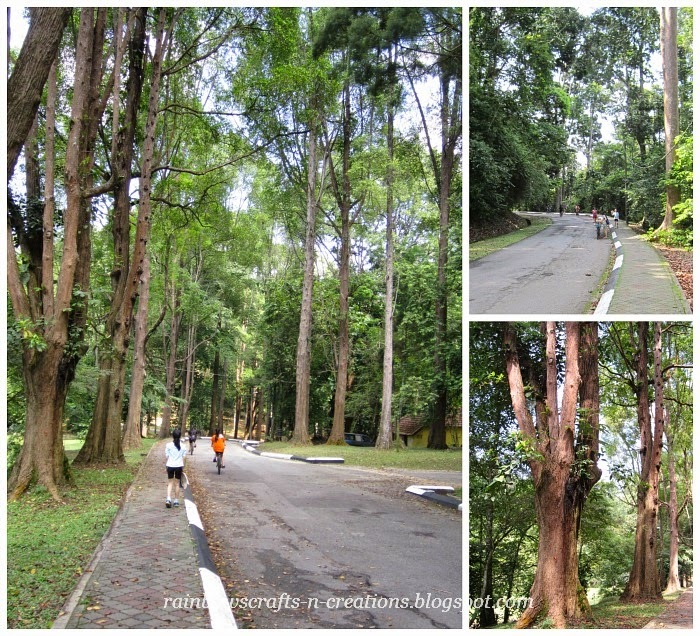 Yesterday morning, we took a chance to go cycling and strolling around in FRIM ( Forest Research Institute of Malaysia). 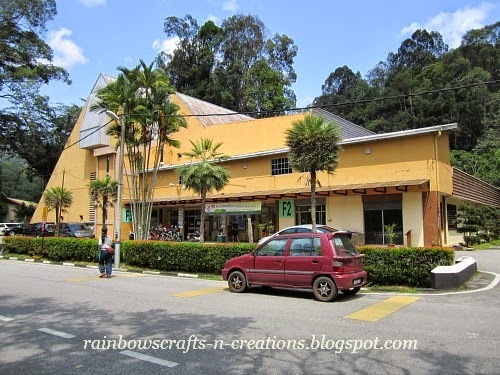 FRIM is located in Kepong, Selangor. It is a nice place for outing. We were so happy to explore the forest. 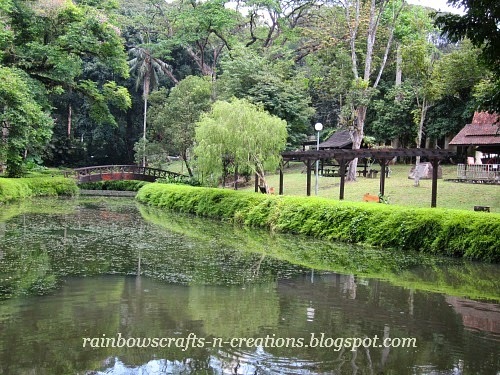 We loved the fresh air, the green nature, the tranquil environment and the beautiful scene there. 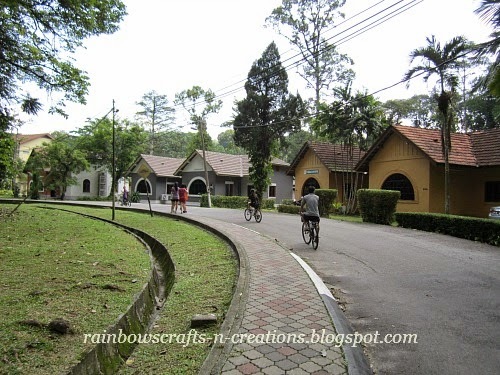 After the entrance, there was a signboard showing the way to Taman Botani Kepong (Kepong Botanic Garden), that was our cycling starting point. 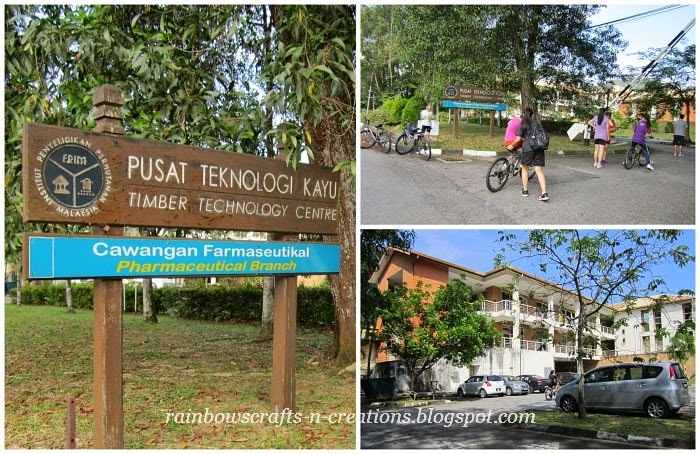 Later, we had a look and took a rest at Timber Technology Centre. 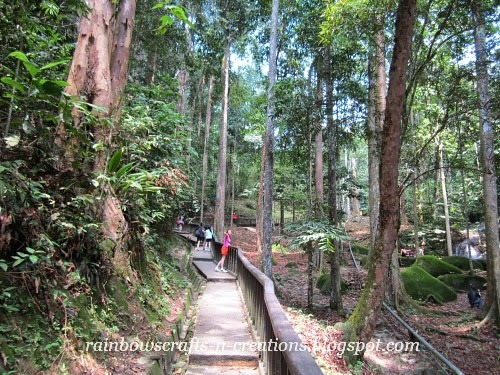 Along the way, we found that there were many species of plant in the forest. 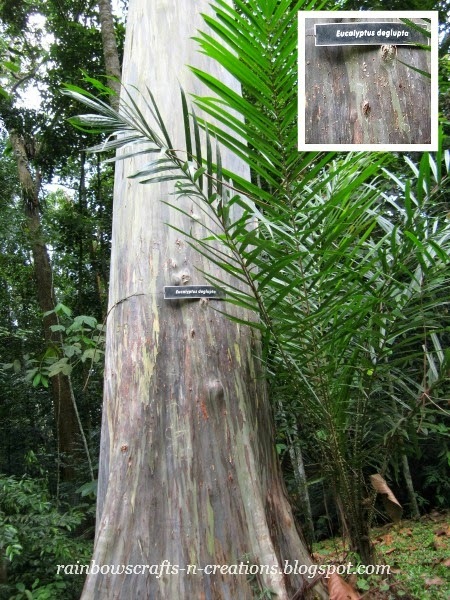 One of the species that struck me was the Eucalyptus deglupta tree. It looked tall and the rainbow color of the trunk was so unique. From a distance, I thought it had been painted on, actually these colors were natural. To me, that was the most beautiful tree in the forest. 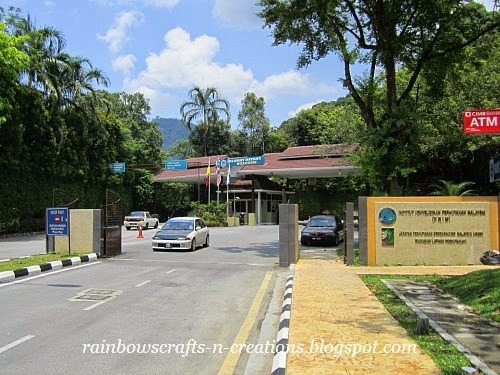 There was a picnic area called Sungai Kroh Picnic Area. 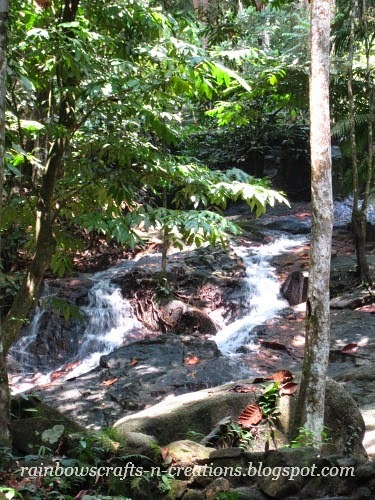 Opposite the picnic area was a little waterfall called Sg. Kroh Waterfall. Walking up the walkway would lead you to the waterfall. Further up the walkway, there was a shallow pool where the children could wade in. 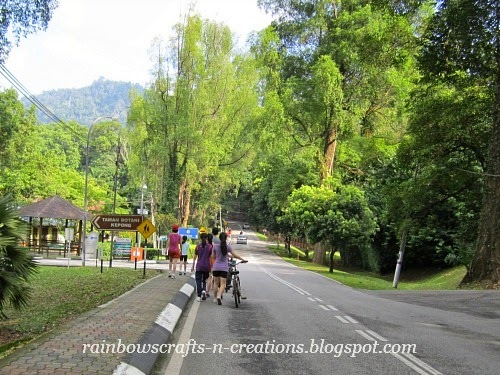 We were so happy to cycling and strolling around the forest. One thing that you have to keep in mind is remember to bring along a can of repellent because you will encounter some mosquitoes and insects along the way.